Welcome to another edition of FlueReviews. To make the posts manageable, I decided to divide the Vogs I tried on into several posts. This is the second of three posts I have brewing for you all. 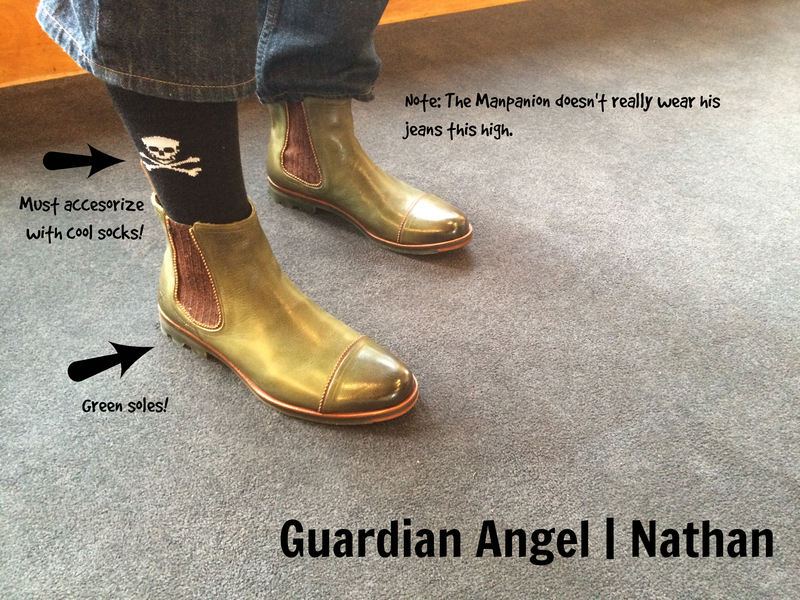 I hope you enjoyed the last post that included the pairs the Manpanion tried on. 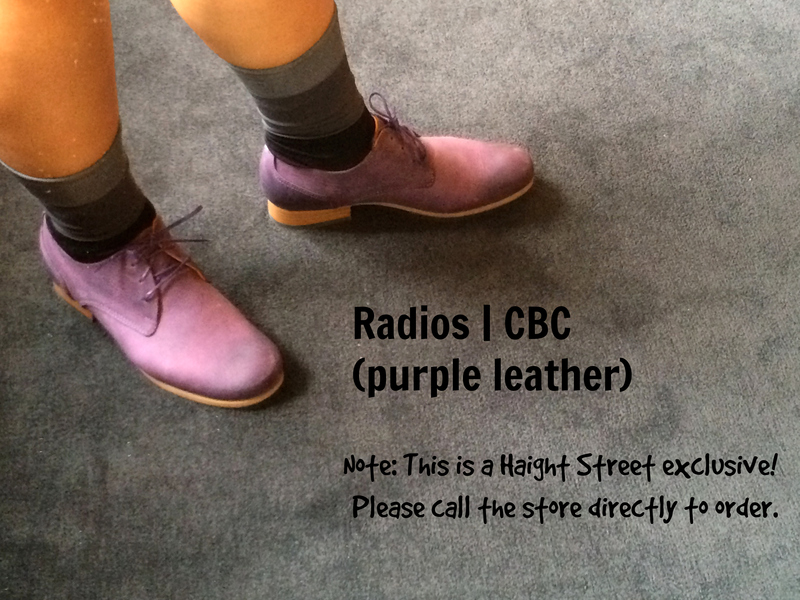 *Haight Exclusive* Radios | CBC in purple leather. Size 9. When in Haight, one must try on the Haight only CBCs. The CBCs are a stable part of the Fluevog line. Every die-hard possesses at least one pair from the Radio family. (I’d die if they ever got rid of this family!) For those of you familiar with the Nuni in purple, these CBCs use the same leather. 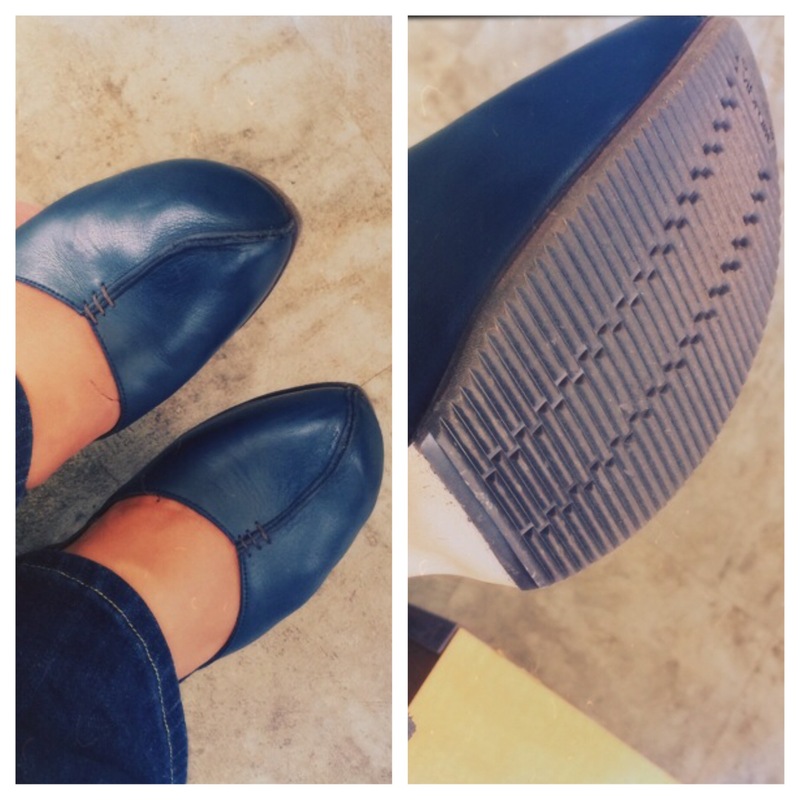 As a flat-footed gal, the size 9 was a little pinchy for me. I’d likely go up to size 9.5. 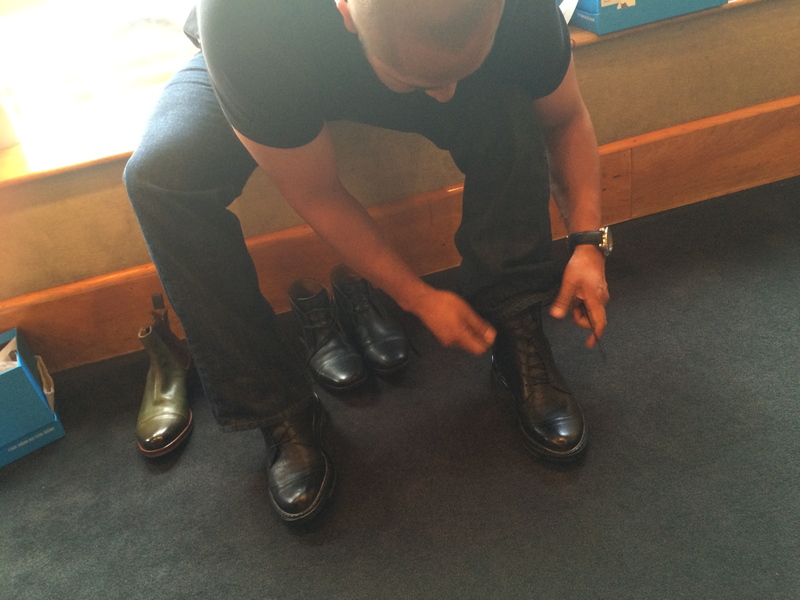 In the past, I’ve ordered a men’s size 7 in the Radio family because I like the extra width. There’s not a lot I can say about the CBC except this color is AMAZING. Plus, it’s not suede, like the other purple version that has come in this style. Tank | Linda. Size 9. In truth, I’m not big on shoes like this because I have really flat, wide feet. 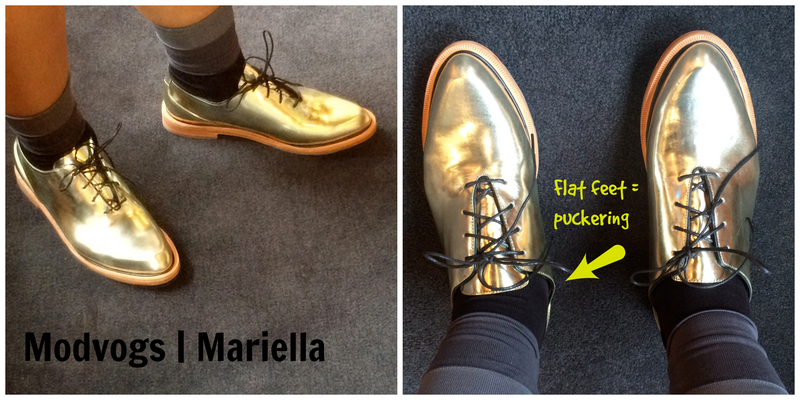 I tend to opt to shoes that go a little higher because on me, they pucker (see the Linda and Mariella below). In terms of sizing, if I were to get these, I’d have to go up 1/2 a size to 9.5 because of my wide feet. While they’re not me, I totally see Madam Shirley in these. The color is great and I love the shade of brown. Modvogs | Mariella. Size 9. Just like the Vogs above, I had a puckering issue with these. I tried on size 9, but if I were to consider getting these, I’d opt for size 9.5. These come in several colors, but the gold is really striking! I’d love to see these in pewter. Tank | Tilda. Size 9. For these, I thought that they ran true. Granted, they were pinchy, but with some stretching, they’d totally work. I was surprised at how easy it was to put these on because typically, a shoe like this is stiff and need that break-in period to slip your foot in. These were nice and soft. I felt the foot bed was a bit long, which is why I’d opt to stretch before taking them home. My favorite part? I love the pewter detail on the top heel. It’s what makes this Vog stand out. 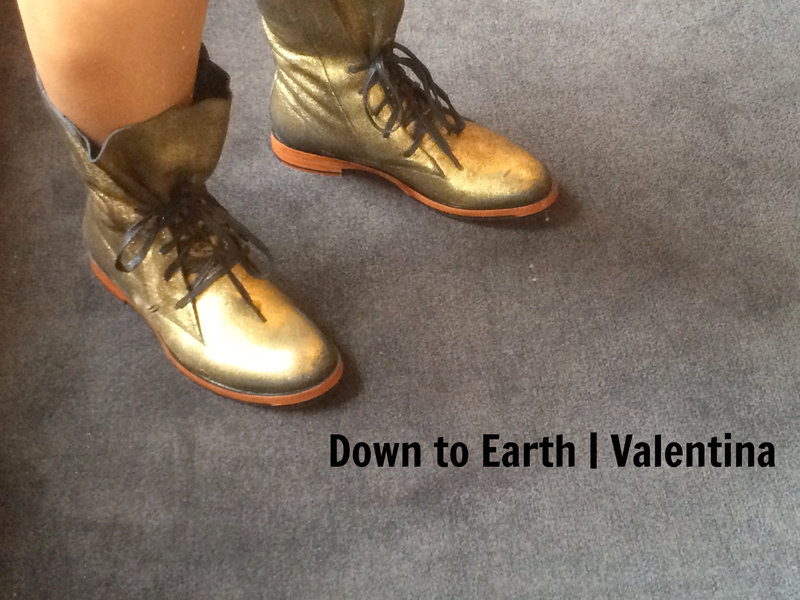 Down to Earth | Valentina. Size 9. These ran true to size for me. They’re flat, super comfy, and again, I’m loving the gold. These remind me of the BBC, but with a different tongue area. These seem to be a favorite of Le Dealers. That’s it! Hope you enjoyed this edition of fall FlueReviews. oh haight, how i’ve missed you! After being away for two months, I’m finally back for fall break. As promised, one of the first things I did was visit le dealers at Haight Street. Ah, it was so great to be home. There’s a ton of fall stuff I haven’t tried, so it was nice to finally see everything in person. Sadly, I didn’t get to see everything I wanted to see. It’s okay. I’ll make another trip ASAP! For now, here’s what the Manpanion and I saw. Mezzo | Della. Size 9. I was so excited to try these. They’re super comfy and oh-so-cute! Who doesn’t love the red bunching? The size 9 was a bit tight and I could feel my outer toes wanting to pop out. Therefore, for a wide foot like mine, I would likely go up half a size. The downside is that I’d have to sacrifice length. I was having slipping issues with these. Going up a size would make it worse. Granted, a good insole would would fix that easily. Della is a gorgeous stand out. Something tells me this is just the beginning of her beautiful life. I’d LOVE to see her in teal, grey, or petrol blue! Since this is a new family, I thought you’d like to see the soles. 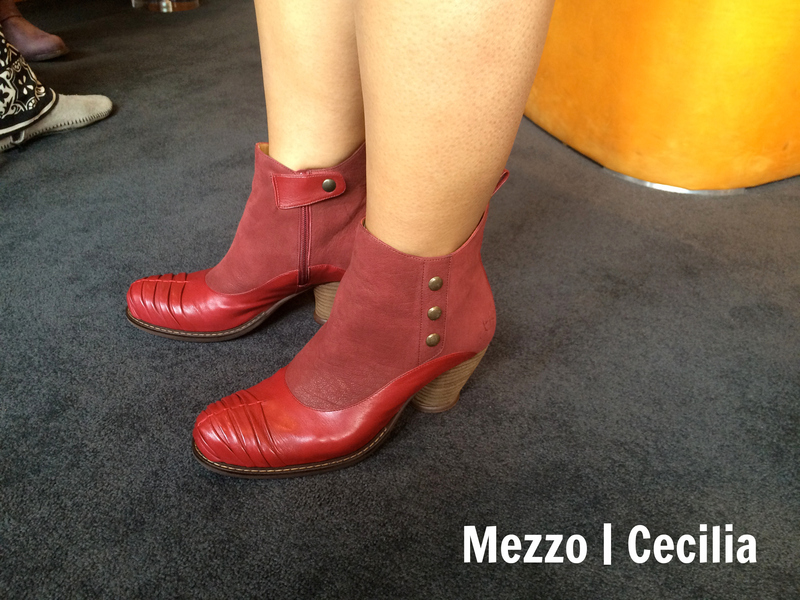 Mezzo | Cecilia. Size 9.5. Since Della was pinchy, I asked Le Dealer Alan to size up for Cecilia. I’m in love with this boot! Gorgeous and simply unique, this is another head turner of the season. The button details are so cute. Even the Manpanion was drooling! I’m not on the market for this color right now, and to me, a boot like this needs to be in a standout color. Rest assured, when this comes out in other colors, I’m going to seriously consider purchasing them. Enneagram | Grace. Size 9. 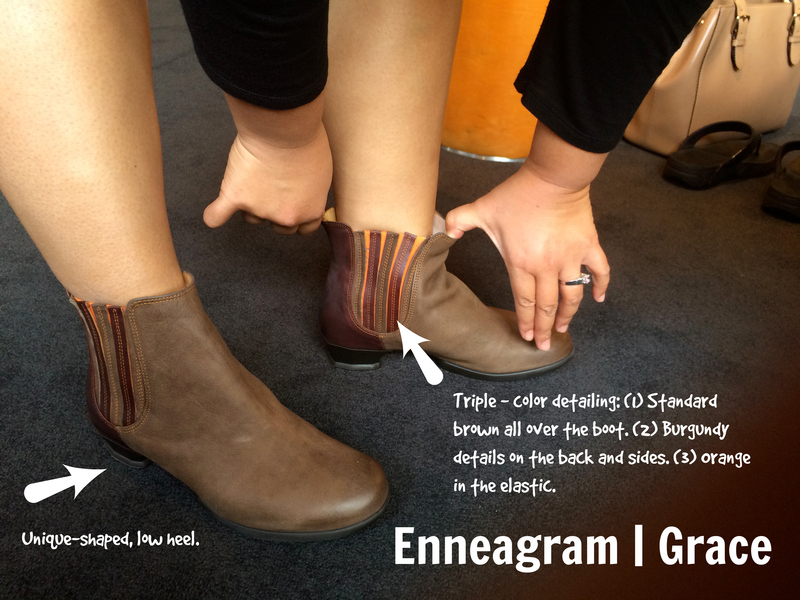 The Grace is a nice, simple boot that has some nice details such as the orange elastic and the heel shape. 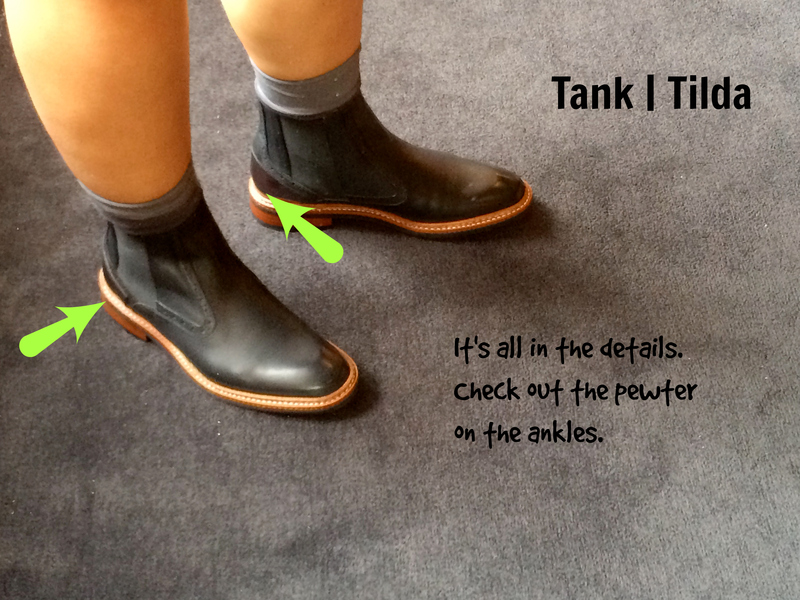 If you’re in the market for a simple boot like this, then yes, Grace is for you. I tried on size 9, but would need to go up 1/2 a size because these were really tight. Another minor issue I had with these is simply squeezing my fat foot into the shoe. I’m a zip-up boot kind of gal. 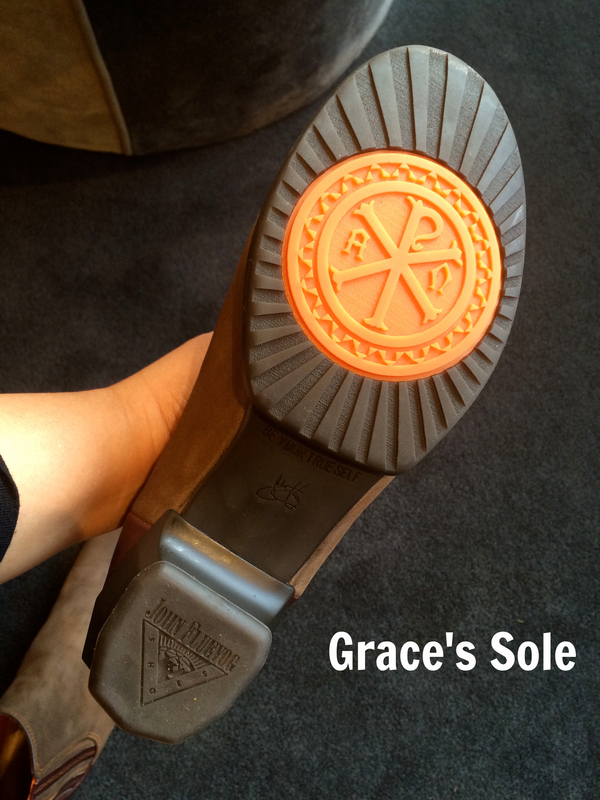 Here is a shot of Grace’s sole. Love the orange and the heel detail. Of course, love the “Be your true self” message! Guardian Angel | Nathan. Size 9.5. The Manpanion tried these on before, but in brown. When they added the green this season, I nearly cried. I’d actually wear these myself! 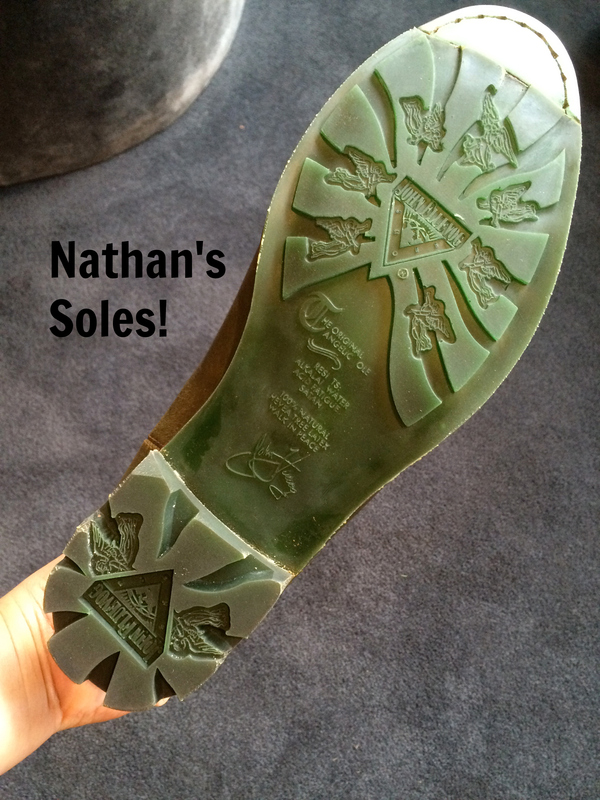 They’re really comfy, cool-looking, and have an awesome sole. What more could one want from a Vog? These make a great alternative for those of you who want something that isn’t brown or black. The Manpanion loved these so much that he decided these would be the next member of his coveted collection! Guardian Angel | Jose. Size 9. Every season, there is always that ONE Vog that becomes the ONE to WATCH. 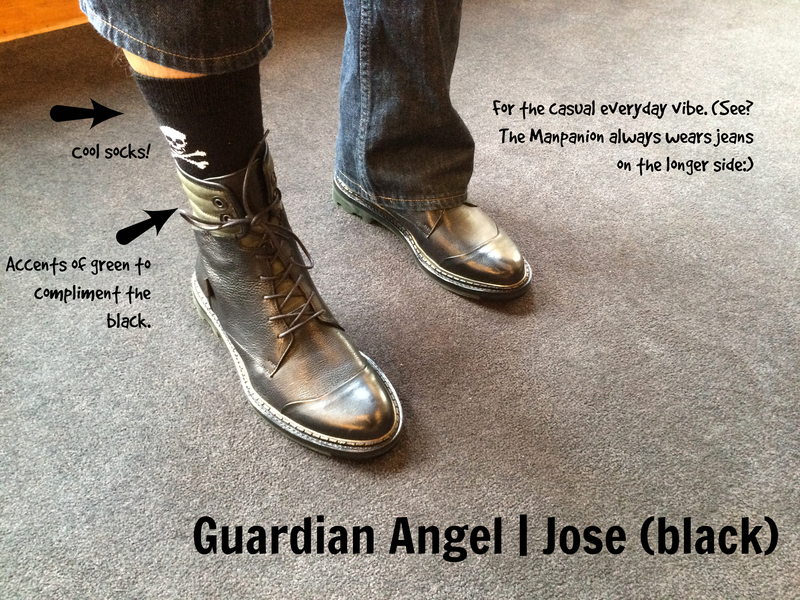 Le Dealer Alan brought out the Guardian Angel | Jose because a) these were Alan’s next purchase and b) they have the same name as the Manpanion. I saw these online and just thought, “meh.” However, given the comfort and the look, I’m going to declare that these are the surprise for the season. The Manpanion loved the idea of having a Vog with a shared name. Plus, he HAD to try them on in both colors. Personally, I like the black. But the brown looks equally amazing. Also, they were super comfy and have a great look to them. I can’t describe them. 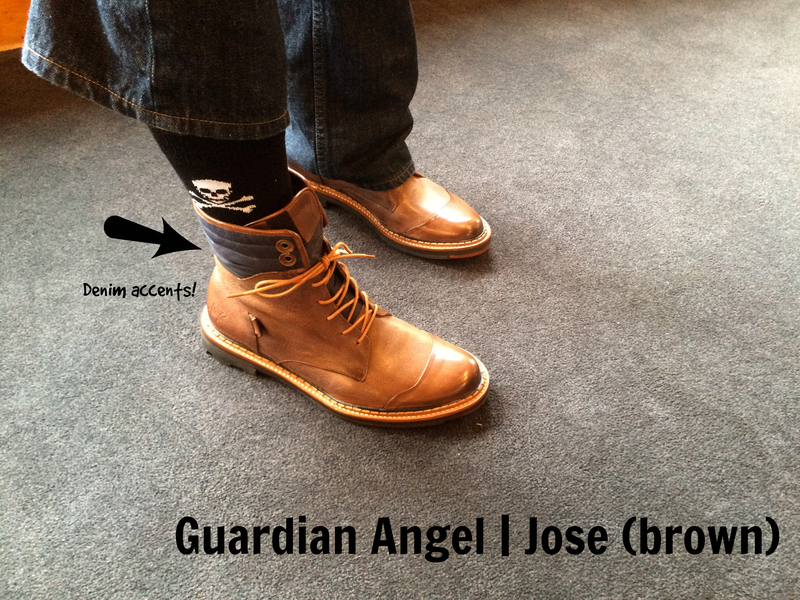 It’s kind of like, a hiking boot and a dress shoe got together and had a REALLY COOL baby named Jose. The online photos don’t do justice to these babies. Gentlemen, if you find yourself in a store, please do yourselves a favor and try this one on. Queen of the Skies | Venus. 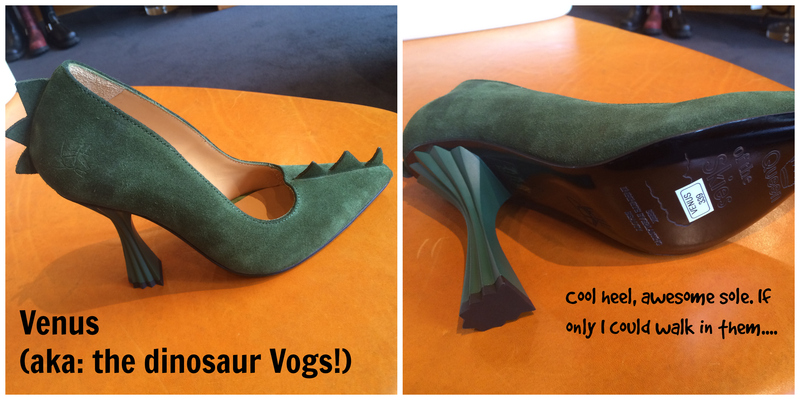 I didn’t try these on, but I thought you’d want to see Venus, the Dino-Vogs. So unique and pretty, no? Well, that’s it for now. Please know that I did make a second visit to Le Dealers and am working on those posts. Of course, if you “Like” us on Facebook or start following the blog, you’ll know exactly when those posts will appear. ‘Til next time…. 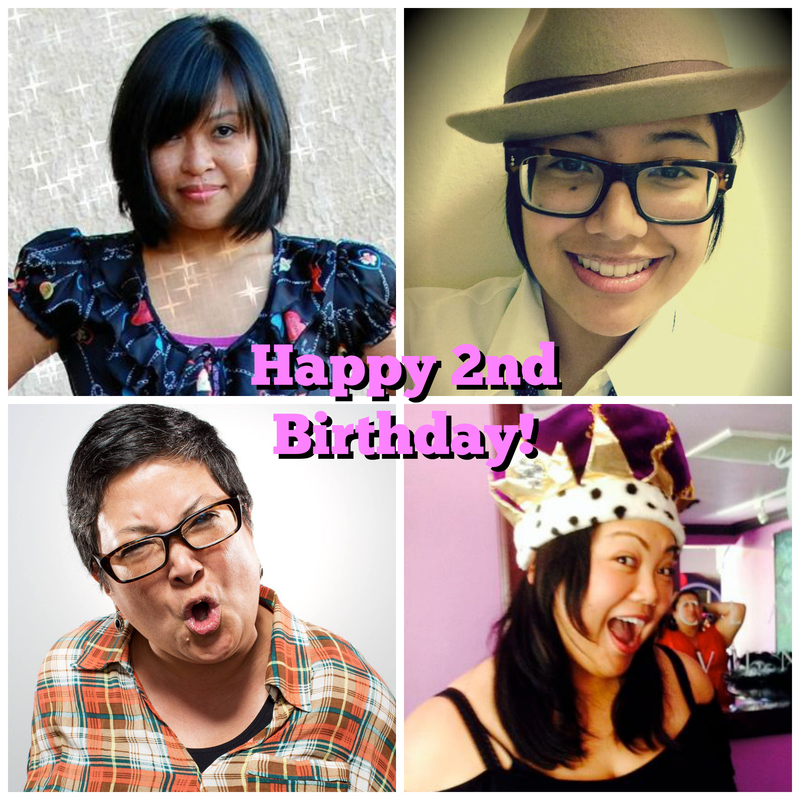 the MotleyFlue turns (the terrible) 2! Is there any truth to the terrible twos? I hope not! As stated in the title, the MotleyFlue and this lovely blog turns TWO years old today and we only have YOU to thank! This past year was very different from the previous year. I’m the first to admit that we have not been posting as consistently as before. The four of us have been going through some major life changes and transitions that have made consistent posting a bit challenging. 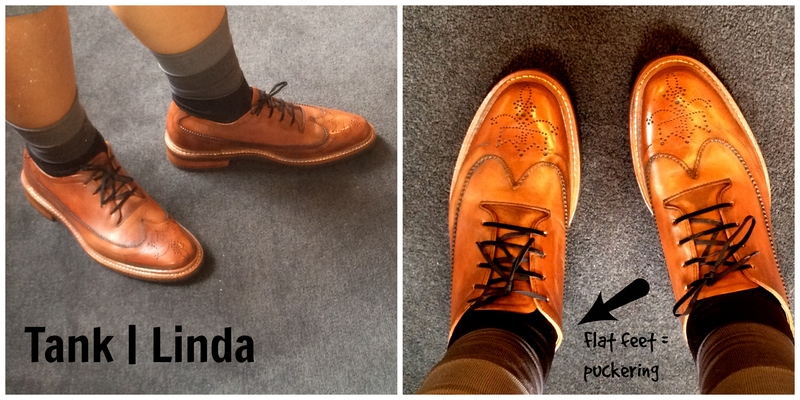 Please know that while we’re not here as often, our love of Fluevogs remains the same. There is a lot to say about this past year. Miss Gladys finished and filed her dissertation. She is now an esteemed recipient of a Ph.D. in English from UC Berkeley. You can now call her Dr. Desert Vog Addict:) I’m so proud of her. When she’s not writing her infamous FlueReviews, you can find her here. Dorothy, the Artful Voger has been the most quiet of the bunch. Like Gladys, Dorothy also finished and filed her MFA (Master of Fine Art… I used to think MFA stood for Mighty Fine A$$… but I’m dirty like that!). She also transitioned out of her corporate job into a completely different career in the arts. With that, I’m sure that once things settle down, we’ll hear from the Artful Voger again. For now, she can be spotted at the best art events in San Francisco. You can also read her work here. For me (Generalissima Joanne), I still have my nose to the grind: teaching, writing, and traveling between Phoenix and San Francisco, with hopes of moving back to the bay area. Of the big things that happened this past year is that the Manpanion has finally started wearing Fluevogs. We also picked a wedding date:) This means that though I expect my collection to grow, it will happen very s-l-o-w-l-y in the next year or so. As you can see, we have a lot to celebrate. 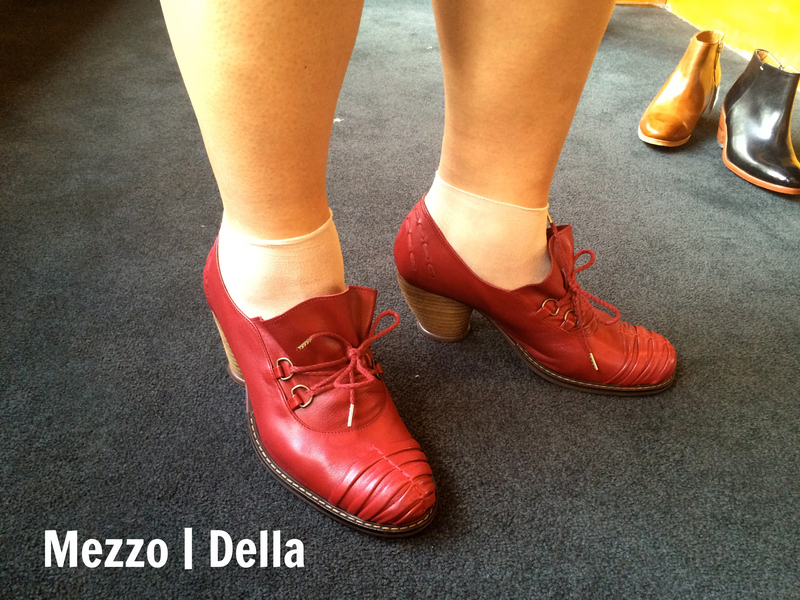 Like last year, our readership is growing and we have met many amazing people who share our love of Fluevogs. 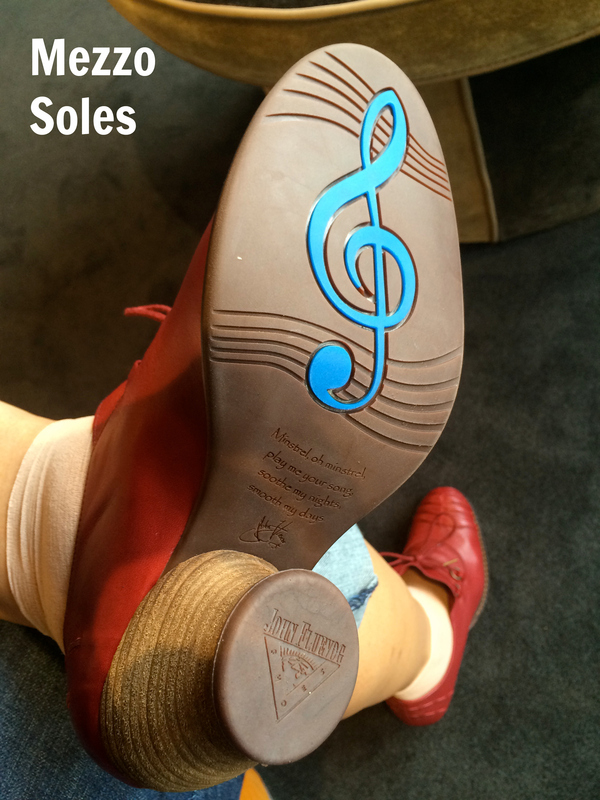 Plus, we have so many new friends through the Facebook group: Fluevog Fridays. During our store visits, we continue to be blessed to meet you and maintain our friendships with our amazing, hardworking dealers. Heaven bless our dealers for allowing members of the MotleyFlue to take over and try everything under the sun, just so we can write these reviews for you. Our Facebook page has over 120 likes and we have over 170 wordpress followers. Our community is small, but strong. For that, we are grateful. It’s your turn! For this upcoming year, we would love to feature you, our fellow Flueddicts. Whether you own one pair or 1000 pairs, we want to hear from you! Please email us at: fortheloveofvogs@gmail.com so we can get that started again. Maraming salamat (many thanks) for all of your support. I cannot wait until fall break because when I go back to San Francisco, I’m heading straight to the Haight Street store to visit my lovely dealers. Oh le dealers, how I miss you so…. In looking at the photos I took before I left, these are the last of the Vogs I got to try on before heading back to Phoenix. (tears) It is such a terrible reminder of how much of the fall collection I haven’t seen. In case you didn’t know this, I’m a total fall person! I love the rich colors and the reminders of winter. Sadly, the Phoenix winters are quite warm, leaving me no play room for fall Vogs. Boo! Here is the last of my reviews (for now). 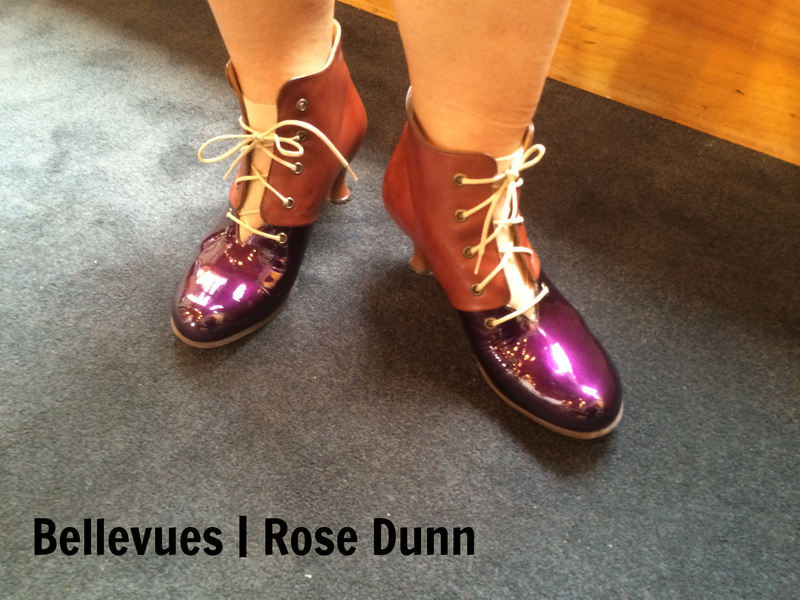 Check out the Bellevues | Rose Dunn. I have yet to own a pair of Bellevues because I prefer chunky heels. These are size 9 and run true to size. As typical of this family, the Rose Dunn are very comfy and stable. That there is no tongue allows you to really play with tights, colors, and patterns because they peek out between the laces. I can’t wait to see how fellow Voggers play with this! I can’t talk about the Bellevues without thinking about my dear friend Mae. This summer I got to hang out with my dear college friends when we planned a wine tasting weekend. 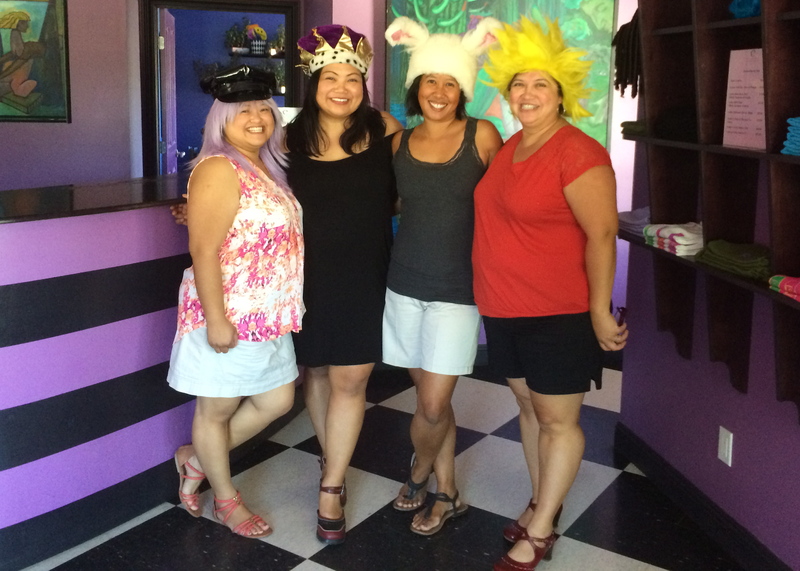 During our trip, we realized that the four of us had not been in the same room together for TEN years! Granted, we’ve seen each other individually, but as a group, this summer’s wine trip was long over due. To my dear friends Mae, Jen, and Cheryl: I miss you so much. I can’t wait to go wine tasting next summer! This photo was taken at Clautiere Wine Tasting room in Paso Robles. Yes, they provided the costumes:) Yes, two of us (me and Cheryl) are sporting Vogs. Categories: Vog Preservation | Permalink.